EnV — Valerio Dewalt Train Associates, Inc. 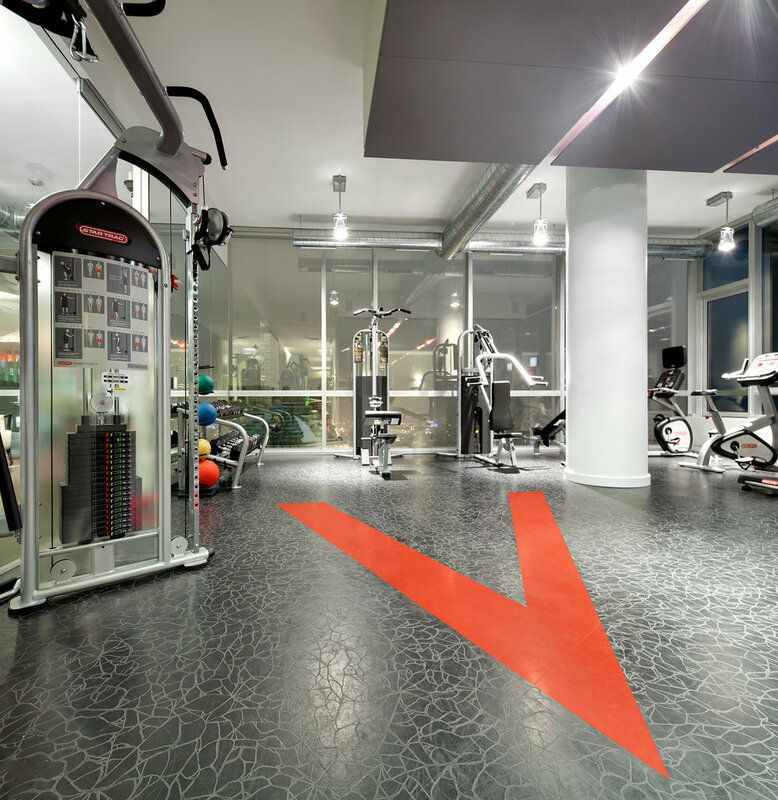 The residences of EnV are designed to meet the needs of young, working professionals committed to an urban lifestyle. 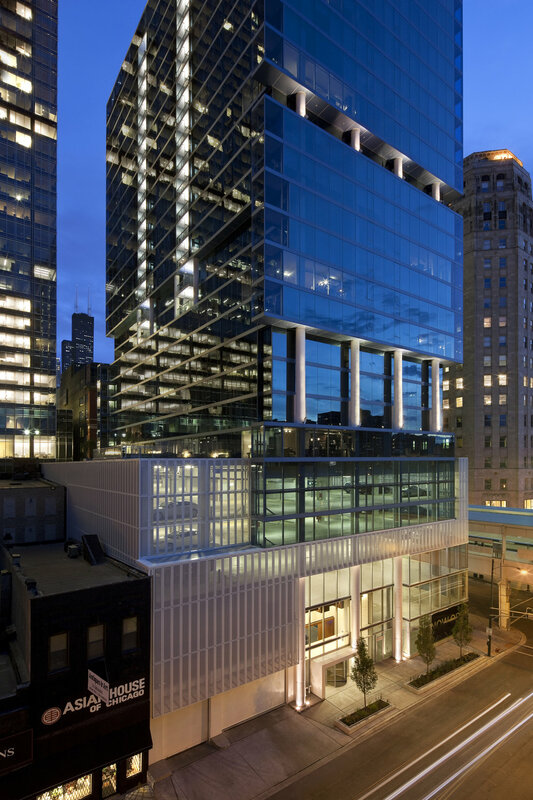 Located within the River North District - a dense neighborhood offering a mixture of residential, commercial, retail, and restaurant uses - the site is located across the street from the Merchandise Mart and north across the Chicago River from the Loop. EnV’s distinctive profile on the city skyline contrasts the “cereal box” look common in new high-rises. 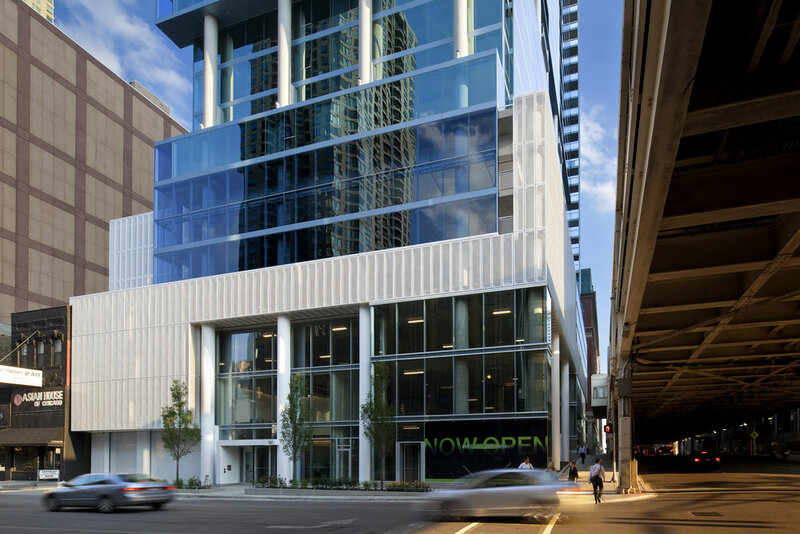 Its cantilevered, 25-square-foot transparent balconies give an airy, lightweight feel. 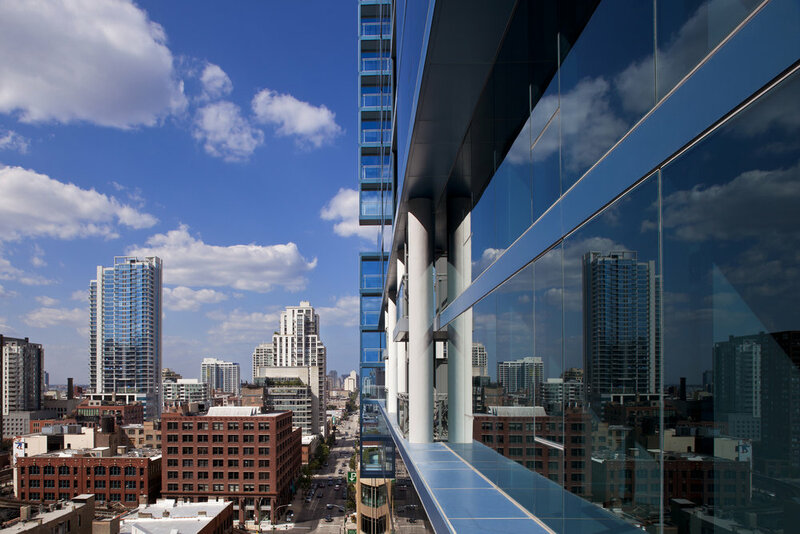 The balconies are designed to protect residents from the wind while providing a view of the city and the elevated tracks of the Brown Line below. 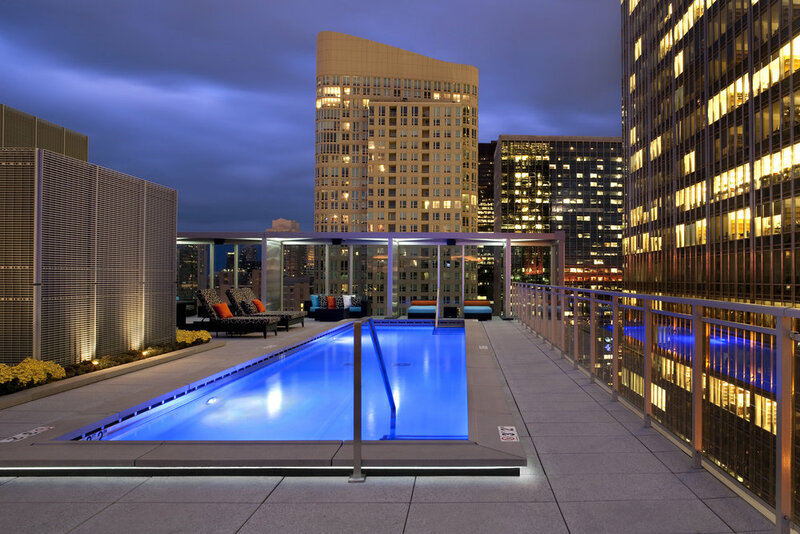 The 249-unit, LEED certified building consists of one-bedroom units, two-bedroom units and studios. The building also includes 30,000 square feet of retail and 129 dedicated parking spaces. Post-tensioned concrete minimizes the number of structural columns required and eliminates the need for exterior columns. The blue tinted window-wall facade allows units floor-to-ceiling windows. The “Great Room,” the main space within the residential units, takes advantage of the views and showcases bamboo floors, exposed ductwork, and nine-foot ceilings. 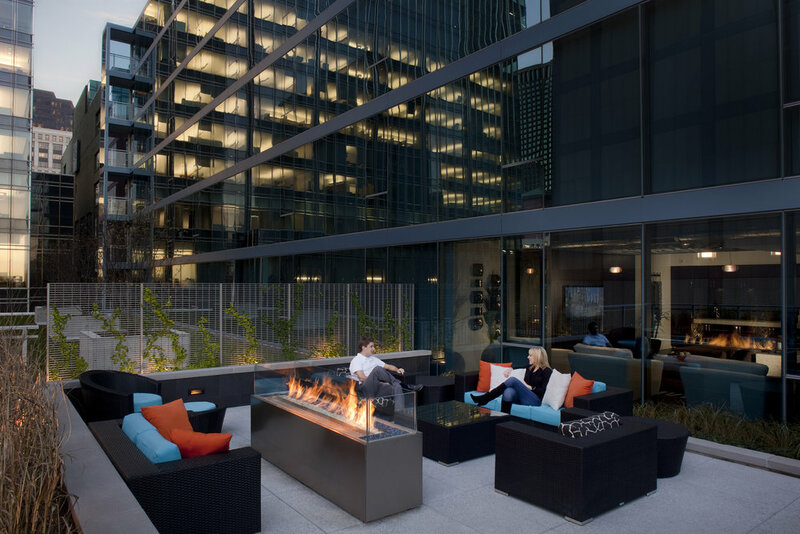 EnV offers multiple common areas for residents which include an outdoor fire pit lounge, garden, media room, internet lounge, dog run, pool terrace, all-season bar and catering kitchen, barbecue grills and 24-hour fitness center with views of the city skyline.